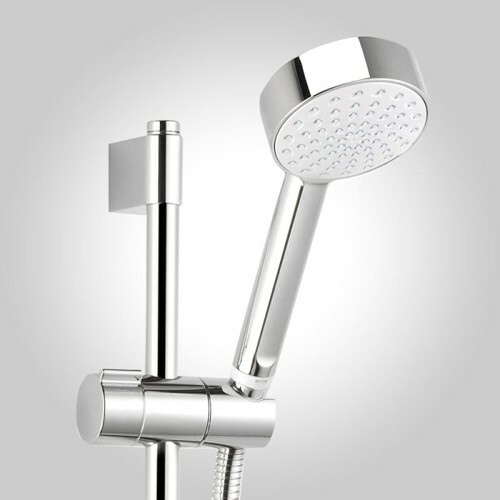 Mira Adept > Concealed Thermostatic Shower Valve With Slide Rail Kit (Chrome). 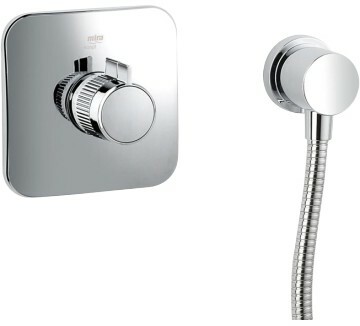 Mira Adept BIV concealed thermostatic shower valve in chrome with slide rail kit. Slide rail with shower handset, hose and wall outlet included. 5 Year guarantee: Mira guarantee this Adept shower for 5 years. The Mira Adept range of showers has been carefully considered to combine a stylish, integrated look with great performance to deliver a perfect showering experience in your new bathroom.